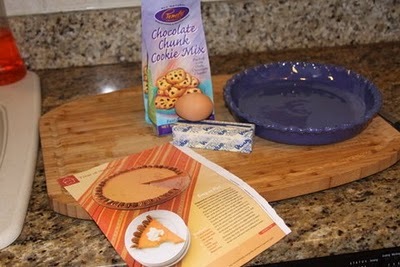 I got this idea from Family Fun here http://familyfun.go.com/recipes/easy-as-pie-939222/ but I was looking for a fun treat for my gluten free son. I thought this was SO cute to take to Thanksgiving. I always try to take a desert when we have to take a dish somewhere because there will be nothing for him to eat if I don't. This picture is from my phone so it is not the best. This was SO easy and simple and all the kids loved it not just my son. 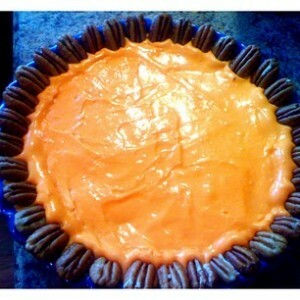 I used a gluten free cookie mix that we LOVE baked it in a greased pie plate. 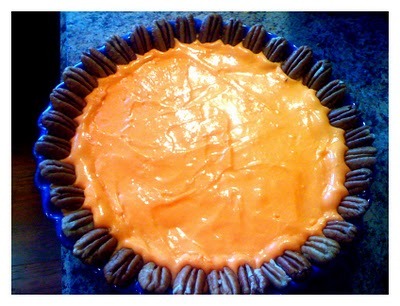 Made orange icing and added half pecans around the edge to look like a crust. I think it was a hit.